Home Posts Tagged "tummy tuck baltimore md"
A tummy tuck is one of the most common requests from people visiting a plastic surgeon , but with it comes some questions. Many prospective patients are concerned with the downtime following surgery and the length of the recovery process. Below are some simple tips that, when followed, can help decrease discomfort during recovery and even speed up the process. 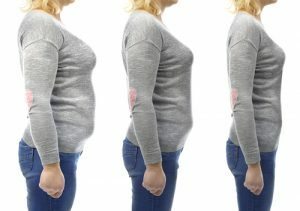 Following a tummy tuck in Baltimore you will want to find ways to remain comfortable during everyday activities. This includes going to the bathroom. Many toilet seats are low which can cause discomfort when squatting. A toilet seat booster will allow you to sit more comfortably following the procedure. Similarly, finding a good sleep position can be more difficult after the procedure. Positioning yourself so your waist is bent and your legs are elevated is typically a preferred way of sleeping after the procedure because it mimics the position you were in during the tummy tuck. As a result, recliners are also great for sitting and resting during the recovery period. Maintaining proper placement and tightness of the abdominal binder is also important when recovering from a tummy tuck in Baltimore, MD. When patients sit upright the binder tends to move up and needs to be pulled down. Before adjusting the binder to pull it down be sure to mark its tightness so you can tighten it properly when it is back in place. Adjusting the binder is easiest when done in bed or elsewhere in a reclining position. Gauze or maxi pads are great ways to increase your comfort. Placing either near the drain or between the binder and hip bone can make your recovery much more comfortable. Compression shorts are also useful in keeping the binder in place, although you will likely have to cut a hole for the drain. Staying bent at the waist also adds comfort, so for the first few days you might want to consider using a cane or walker when moving around the house. This isn’t necessary but can reduce back strain if you are bending at the waist while walking. For more advice on tummy tuck recovery from a plastic surgeon in Baltimore, do not hesitate to reach out to Jeffrey Schreiber and the Baltimore Plastic and Cosmetic Surgery Center. Our friendly staff will happily answer any questions or schedule a consultation. Call (410)205-1846 today.